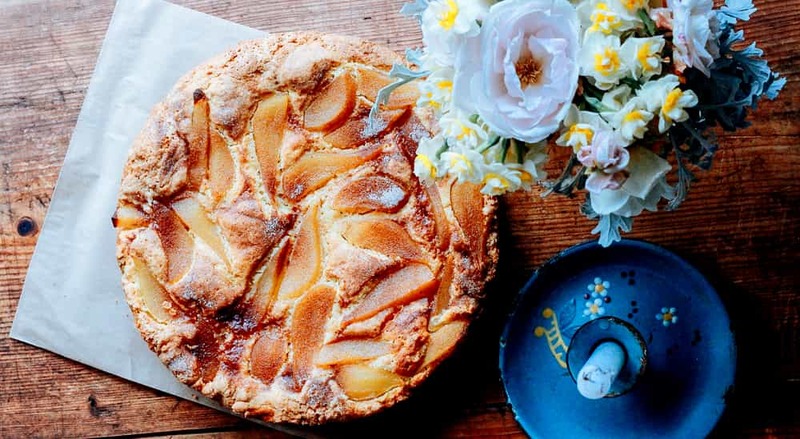 This sweet pear cake is easy to make and looks divine! Preheat oven to 180°C and prepare a 20cm cake tin (grease sides and line with baking paper). Add the eggs and beat again, scraping mixture from down the sides. Once well incorporated, fold through the flour, baking powder and salt. Spoon half of the cake mixture into the cake tin, top with the sultanas, sugar, pears and sprinkle with the ginger. Do this with the remaining cake mixture, covering the top of the pears. Then bake for 30 minutes, or until the top is golden brown. Cool for 5 minutes before turning out to cool entirely on a wire rack.